When is a SPA or special power of attorney used in applying for a collateral credit such as car loan without taking your car? What characterizes an acceptable, legal and allowable SPA by lending companies in the Philippines? I came up today with a post regarding the use of special power of attorney while trying to have a car loan application approved by a lending provider I am duly accredited with. I would like to call the client as Jane and this is the case with this client. A friend of hers called me and told me that some friend (Jane) is applying for the car loan without taking your car system. Since I have been advertising an ad online using the internet, I got found by search. I was referred to Jane in short and after a day, she called me telling about interest to apply for the said loan. I immediately got her to a short pre-qualifying interview which is my usual way to know if a potential client have a big chance of approval in a loan application and also not to waste both my client’s time as well as mine. In short, I asked questions to know possibilities and to determine which requirements will apply to her and what she needs to bring to the lending company when she decides to report and apply for the car collateral loan. After the pre-qualification interview, I found out that the original owner whose name appears on the OR CR original copy is her husband who happens to be out of the country for a business conference. I immediately told her that she will be needing a SPA with red ribbon along with other necessary car loan requirements. 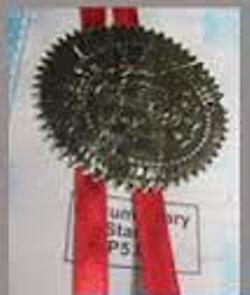 A red ribboned SPA document is necessary because the true owner is outside of the country. In these cases, you are surely going to need to have to present as part of the requirement, 3 copies of SPA in red ribbon from the Philippines Consulate or embassy where the real owner is currently in. On the other hand, if the original owner is here in the Philippines and is an immediate relative of the person looking to use the car as collateral to apply for a loan, all he or she will need is a SPA document that is duly notarized by an attorney at law. There is no need to have it DFA red ribboned because the owner is still here in the Philippines but take note that there might be cases where the loan applicant will be required to submit other supporting documents in a case to case basis. So basically, if you have the same case and you want to apply for car loan in the Philippines, chances are, you already know what you need to do. If there is something you would like to ask for the sake of clarification, please don’t hesitate to make an inquiry, fill up our online application form here or visit my Contact Page. I went to consulate Dubai yesterday with our SPA from the bank.We only went to notarized and came to know only when we arrived home it should be on red ribbon. Is there any easy way aside going back to consulate and process for red ribbon? It is a car loan and both me and my husband are here here in abroad and the one will process is my sister who is in phillippines. I am planning once we receive we will send to Philippines and let them process for red ribbon through lbc because my sister is leaving in Cebu.